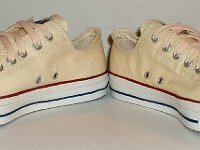 Photo gallery of core natural white low cut oxford chucks. 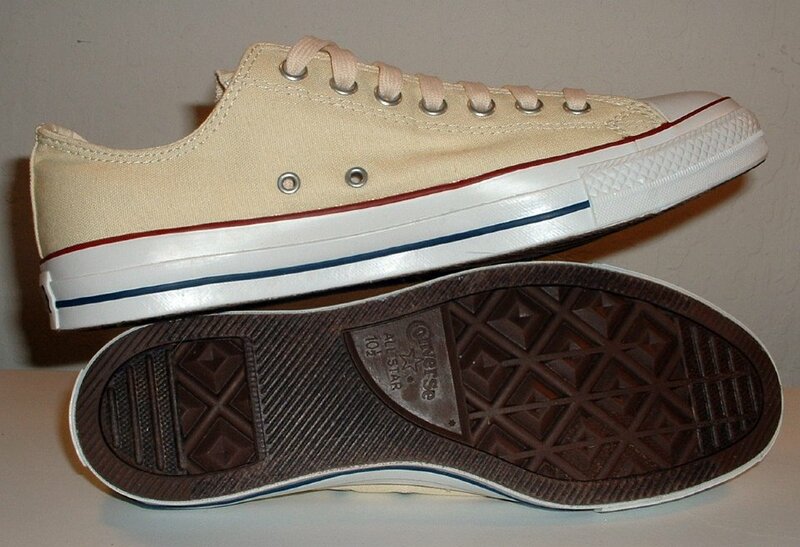 1 Core Natural (Unbleached) White Low Cut Chucks Outside view of a right natural white low cut. 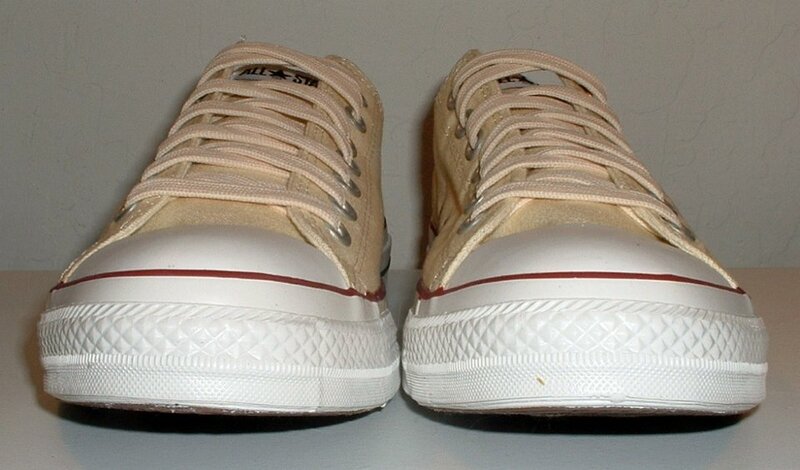 2 Core Natural (Unbleached) White Low Cut Chucks Inside view of a right natural white low cut. 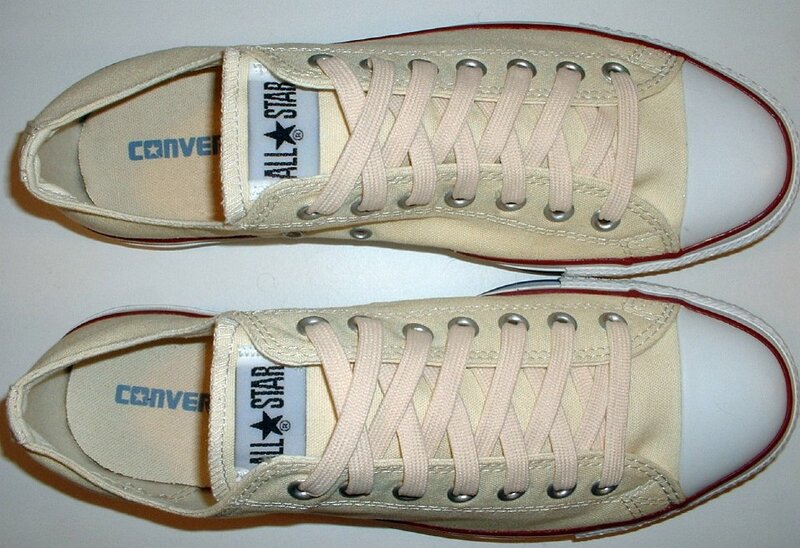 3 Core Natural (Unbleached) White Low Cut Chucks Inside view of a left natural white low cut. 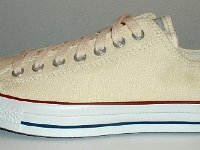 4 Core Natural (Unbleached) White Low Cut Chucks Outside view of a left natural white low cut. 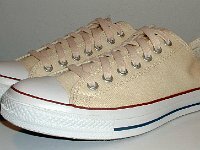 5 Core Natural (Unbleached) White Low Cut Chucks Rear view of natural white low cut chucks. 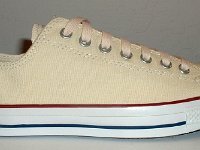 6 Core Natural (Unbleached) White Low Cut Chucks Front view of natural white low cut chucks. 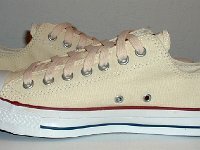 7 Core Natural (Unbleached) White Low Cut Chucks Angled side view of natural white low cut chucks. 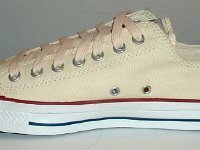 8 Core Natural (Unbleached) White Low Cut Chucks Angled front view of natural white low cut chucks. 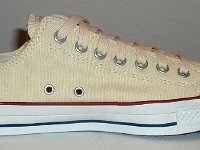 9 Core Natural (Unbleached) White Low Cut Chucks Inside views of natural white low cut chucks. 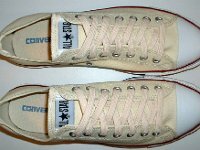 10 Core Natural (Unbleached) White Low Cut Chucks Outside views of natural white low cut chucks. 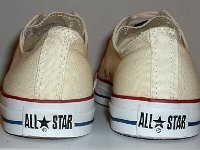 11 Core Natural (Unbleached) White Low Cut Chucks Closeup of the All Star patches on natural white low cut chucks. 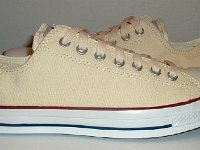 12 Core Natural (Unbleached) White Low Cut Chucks Top view of natural white low cut chucks. 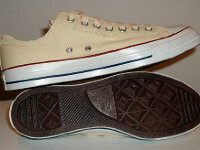 13 Core Natural (Unbleached) White Low Cut Chucks Sole view of natural white low cut chucks. 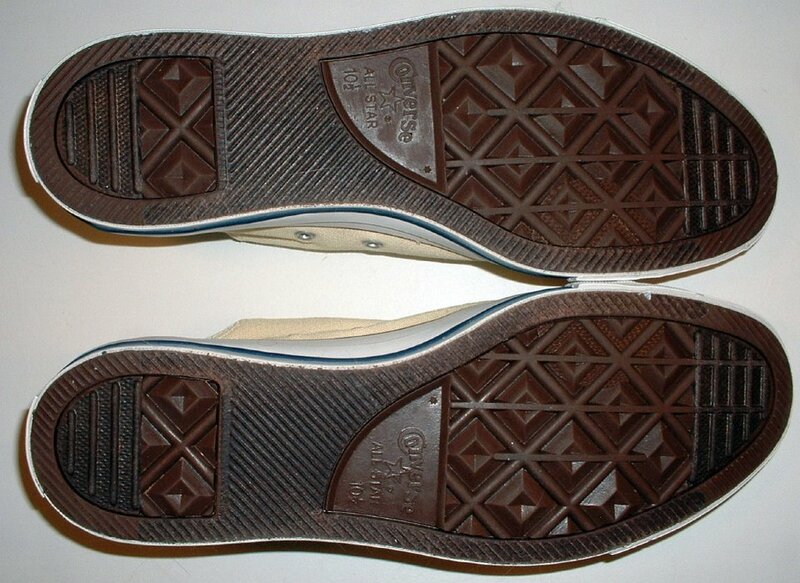 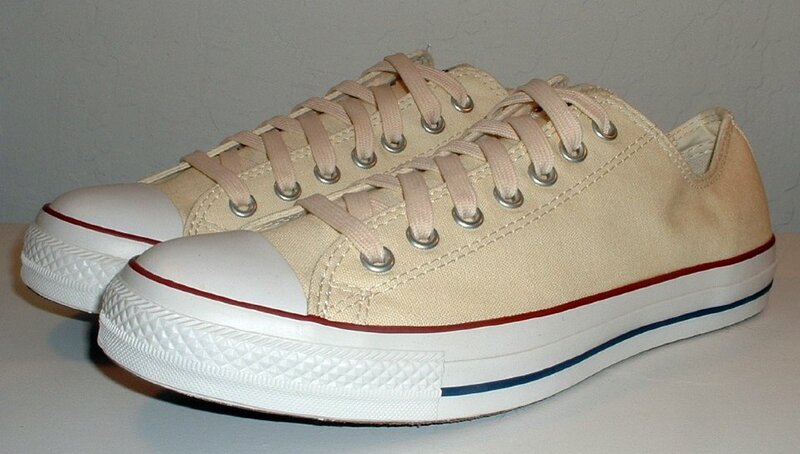 14 Core Natural (Unbleached) White Low Cut Chucks Inside and sole views of natural white low cut. 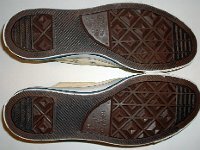 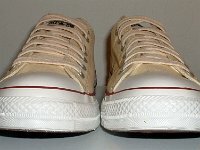 Photo gallery of core natural white low cut chucks. 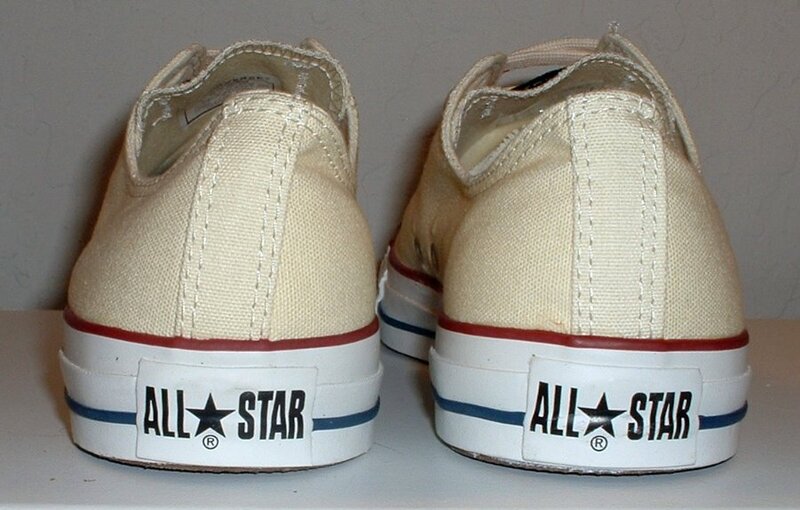 The canvas is unbleached.